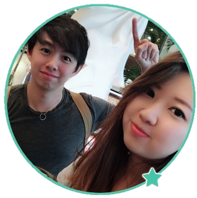 If you thought you just found a gold mine with My Internet Success Coach, please read this review before going any further. It might just save you from financial disaster and a major heartache. No tricks and gimmicks? We’ll see about that. You’ll usually see My Internet Success Coach through a browser pop up, social media advertisement, google search advertisement, or simply sent by someone to your email address. 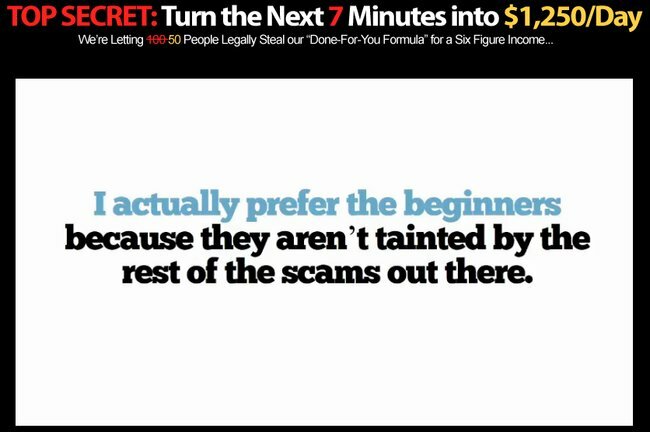 In their homepage at myinternetsuccesscoach.com, you’ll only find a video that auto-plays itself, much like many other get-rich-quick scam landing pages. There’s no substance to this video, just a bunch of hypes and empty promises. William Chase says that since you are “invited” to the system, you are gonna get it for free and use it to learn thousands of dollars a day! “I actually prefer the beginners because they aren’t aware this is a scam like the rest out there.” There, I fixed it for you. 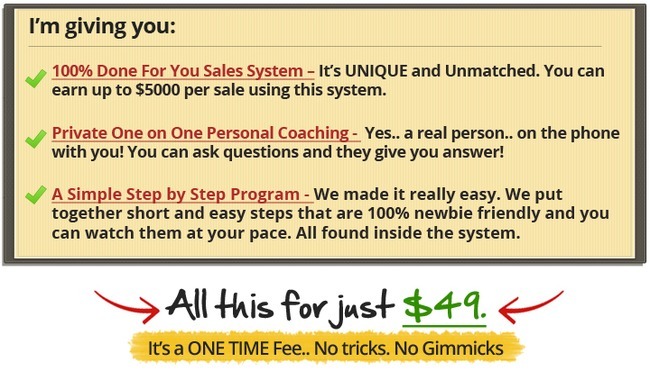 As good as it sounds, once you click “create my account”, you are immediately brought to this page, and along with it a price tag of $49 for the system. What happened to my free access? “Well doesn’t matter. If the system can make me $1000s day, paying $49 is nothing.” This is how most victims think. If you are one of those potential victims who think this way, you are in for a world of hurt. Your loss is not going to be just $49. It’s way more, when you are pitched into buying their higher tier products in a series of up-sell nightmares. Seems like the infamous My Top Tier Business (MTTB) is back! 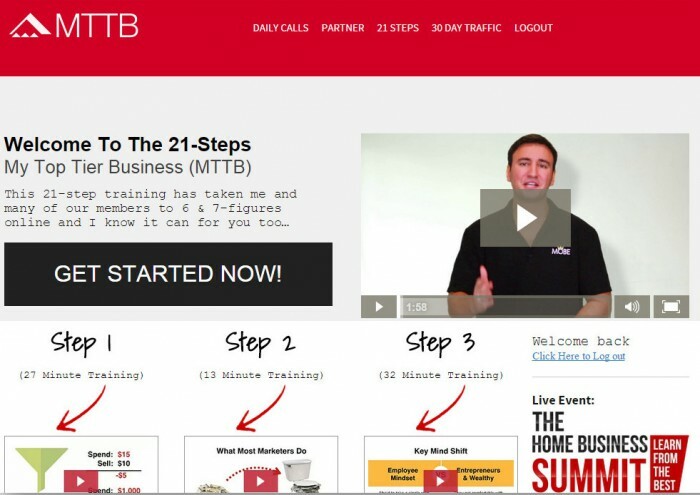 When you agree to pay $49 to buy My Internet Success Coach, you are redirected to MTTB website instead. There are a few other landing pages that lead to MOBE and MTTB, including My Millionaire Mentor, Ultimate Dot Com Lifestyle and 45 Minutes Payday. Each of them was created by individual MOBE and MTTB affiliates that want to recruit new members as their down-lines. MOBE / MTTB has been around for a few years, and it has generated a lot of negative feedback due to its outrageous up-sells. Since My Internet Success Online is nothing more than an entry point to MOBE / MTTB, I’ll give you a short rundown of what the program is about. If you want to read more details about the program, refer to my in-depth MOBE and MTTB review. In short, MTTB is a Multi-Level-Marketing (MLM) platform that capitalize on selling outrageously expensive up-sells to its own members. Unfortunately, I was one of the naive victims who paid $49 for the program. Fortunately, I did not go further than that. The members area consists of 21 training videos that claim to kick start your business and take you to earning 6 & 7-figures online. You have to talk to your private coach every 2 to 3 videos to unlock the subsequent one. What they didn’t tell you is that in order to complete the lessons and start earning, you need to purchase their MOBE license at step 6 to unlock the rest of the lessons, and the license costs a whopping $2,497! But that’s not all. There are even higher levels of memberships. After that, you will need to recruit new members through your affiliate link. If they buy the same level / lower level of membership, then you earn a commission. Let’s say I’m a MOBE licensee, which means I paid $2,497 for my license. If my down-line buys a MOBE license, I earn $1,000 commission from his purchase. However, if my down-line purchases the Titanium license afterwards, while I’m only holding a MOBE license, I don’t get a cent of commission! The $3,000 commission from Titanium license purchase will be passed to my sponsor / up-line. So, to say it simply, if you want to capture all the commissions from your down-lines, you better buy all the way up to Platinum license. And it will cost you in excess of $16,000 (at least) in the process! Do you have $16,000 to throw away before you start to make money online? And there’s not even guaranteed that you’ll get half of your money back. 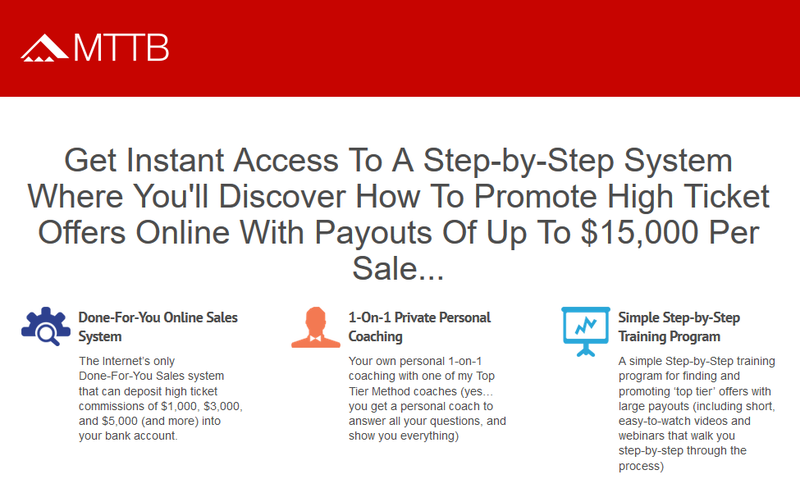 Should I Buy My Internet Success Coach / MTTB?